I thought that the statue looked like a forgery, but I have no background in this material, so I didn’t want to judge. Plus, I didn’t think that Google would be able to translate “alleged antiquities, allegedly looted from Syria’s Palmyra Museum…”. I also feel like I’ve seen the wine chalice somewhere before, but I can’t think where, and I haven’t been able to find it. Perhaps it was on the illicit trading platform that was taken offline. Now, Ancient Near Eastern archaeologist Sanna Aro-Valjus has questioned their authenticity; in a point to which I will return, Aro-Valjus compared it to the case ‘in Finland last June: no proof for origins/authenticity yet’. Privately, a cultural heritage expert has questioned the objects too. Another archaeologist, who has worked on (other kinds of) Palmyrene antiquities, has suggested that the objects are fake. And a professor of Classical art and archaeology has stated that the statue is ‘definitely… fake’ and the bucket is probably fake (but the poor-quality photo makes it difficult to tell). Archaeologist Paul Barford has described them both as ‘pretty crude fakes‘. Is the “wine chalice” a modern bucket? As far as I can judge from the photo, the bucket does not look like a fake in the strict sense, but rather like a 19th-20th century decorative household utensil, or kitsch for domestic display. The patina looks very un-ancient. The relief decoration seems to be freely based on famous Roman sculptures. So, contrary to all of the reports, the objects had not been looted from Palmyra Museum. Indeed, they had not been looted at all. Did the detainees forge the antiquities and fabricate a back story? It’s possible. But it would be strange if they had gone to the effort of forging somewhat-Syrian-looking antiquities just to try to sell them in their tiny home town, where they are probably at least indirectly known to any potential buyers. After all, whether the suspects were raided in the public park or in a private property, the gendarmerie had seemingly been alerted to their activities by someone in the locality. Considering the state of the rule of law in Turkey at the moment, the gendarmerie may or may not have welcomed such a “good news” story about their struggle against the Islamic State; they may or may not have been reluctant to share the news that there was no news. But the Museum Directorate, too, does not appear to have declared that the objects were fakes. In the end, the suspects do not appear to have even thought of confessing to forging antiquities, rather than financing the Assad regime or the Islamic State. That may be because they really did not know what they were doing and thought that they were “simply” exploiting refugees. We still don’t know what story they told to the police or were told by the putative refugees. Regardless, the detainees appear to have genuinely believed that they had got a bargain off disadvantaged refugees. And they appear to have planned to turn a quick buck by selling the stuff on immediately. If the detainees did forge the objects, fabricate the backstory, then try to tout the objects in their local park, this crime will have been spectacularly petty. It raises the glorious possibility that Syrian refugees, or people who pretended to be Syrian refugees, tricked illicit traders into buying forged antiquities by presenting them as products of suffering. Insofar as the exploited would have profited by tricking their exploiters, it would have echoes of Greece in the second world war. As archaeologist Eleni Pipelia has explained, occupied Greeks forged Archaic sculptures and sold them to Nazi officers to finance the resistance. 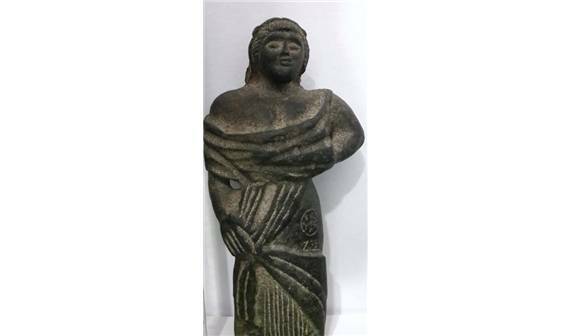 Returning to the case in Finland, initial reports suggested that Syrian antiquities had been seized by Finnish customs. 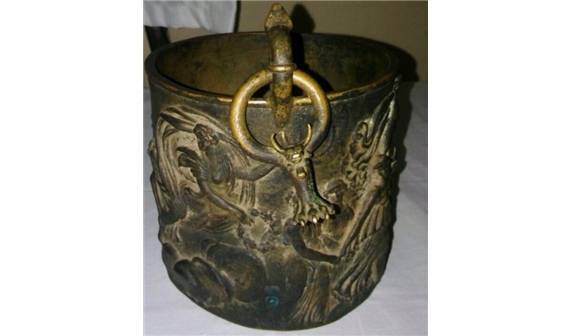 In fact, the seller in France had seemingly misrepresented their Iranian goods as Syrian antiquities in order to appeal to a buyer in Russia. At least in certain circumstances, there appears to be a premium price for looted antiquities. And these fakes appear to have been advertised as conflict antiquities from the Syrian civil war.